The news came from the head of BrahMos company, Sivathanu Pillai during the visit of Russian Defence Minister Anatoly Serdiukov. 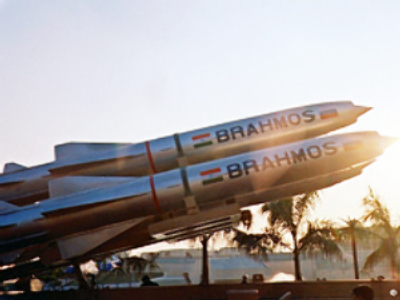 The BrahMos missile (the acronym stands for Brahmaputra-Moscow) has been in development since 1998 and had its first successful test launch in 2001. Russia provided the design of its P-800 Oniks missile as the basis of the project while India developed its guidance system. It has a maximum speed of Mach 2.8, making it is the world's fastest cruise missile. The BrahMos-2 is expected to have twice the speed of the current version, which, the developers say, will make it practically immune to all existing missile defence systems.